The All India Football Federation were crowned with the AFC Developing Member Association (Developing) Award for the Year 2016. Member Associations of Vietnam and Malaysia were the other nominees for the award. The award ceremony took place in the United Arab Emirates capital city of Abu Dhabi on Thursday. The award was given in recognition of its professional administration and governance as well its exceptional contribution to the development and promotion of the game at all levels within the country. The member associations are ranked based on their performance in certain areas, namely: organisation of courses and seminars, competitions, grassroots and youth development, women’s programmes, social responsibility and special projects. Points are also given for an Member Association's hosting of AFC qualifying and finals tournaments as well as their national and club teams’ placing in AFC and FIFA competitions throughout the year. 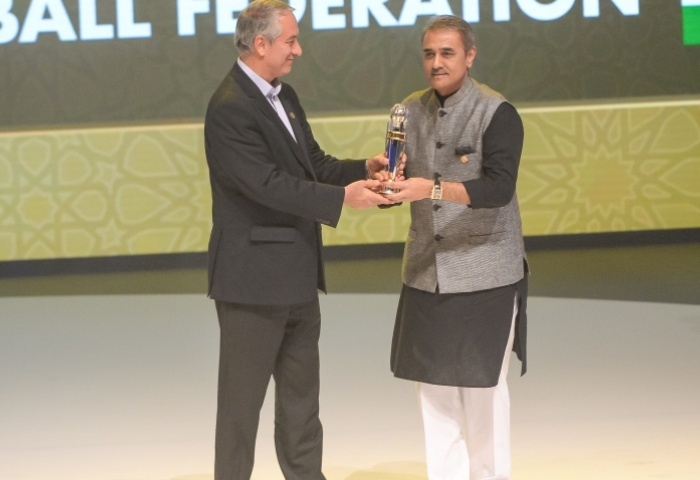 Also, AIFF president Praful Patel was also announced the Senior Vice President of the Asian Football Confederation(AFC).